Why not encourage a teacher you love, to relax with a wonderful book? 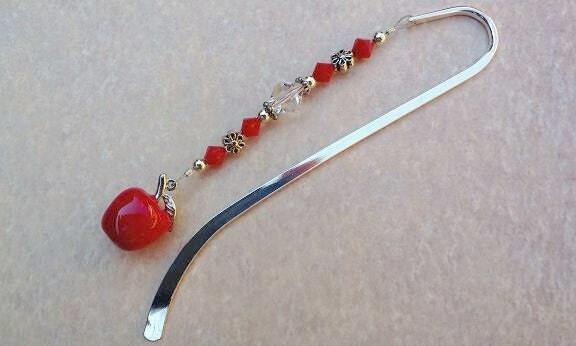 You can do just that with this Red Apple Beaded Bookmark! It makes the perfect teacher gift! Pair it with a gift card from a book store, and it can be a gift from the whole class! 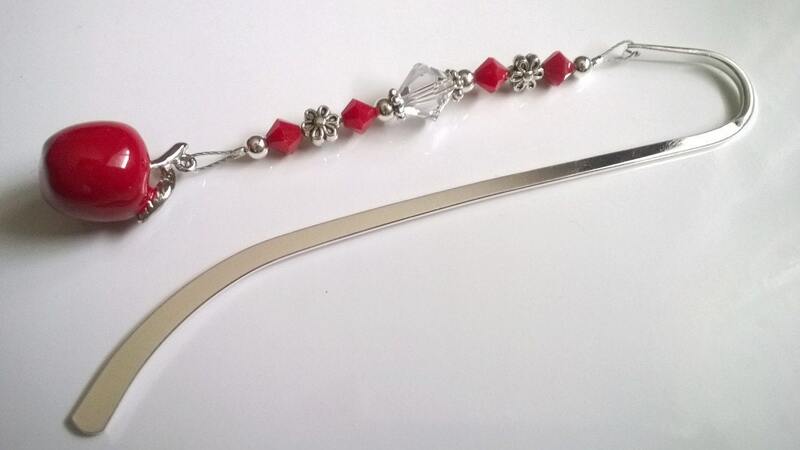 Please note, all the red and clear crystals in this bookmark are genuine Swarovski Crystals. The entire bookmark measures 5 inches in length, and is handmade by me, Michele. Adorable gift for teachers! Well made. Great communication from seller. Recommend. Just as promised. Super cute teacher gift.